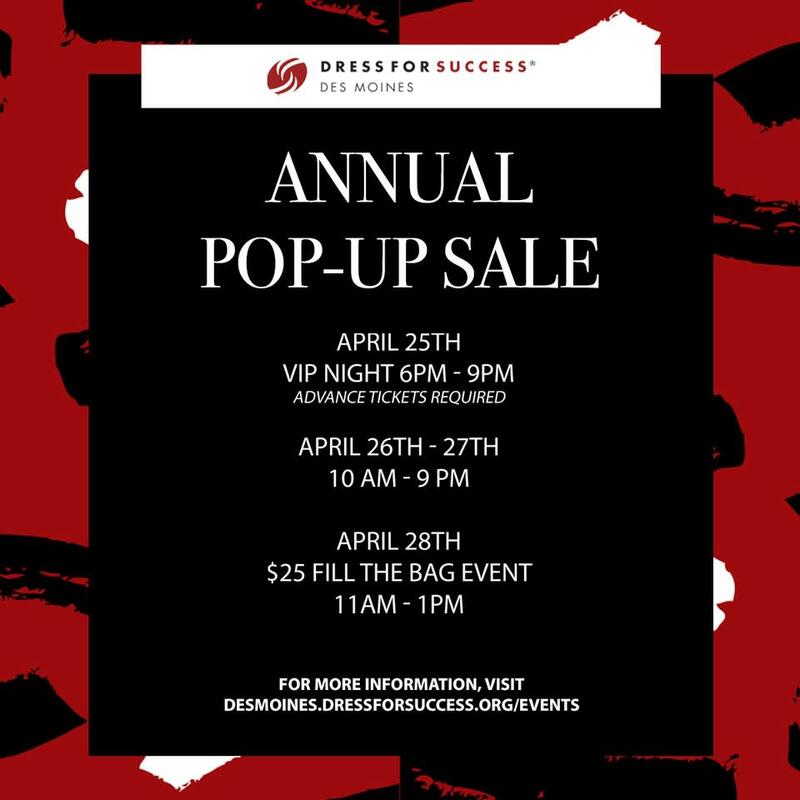 Outlets of Des Moines (OutletsofDesMoines.com) is pleased to host the Annual Dress for Success Pop-Up Sale Thursday, April 25th through Sunday, April 28th, featuring a wide selection of fashions including an expanded designer area, exciting in-store surprises, extended store hours a VIP Night and MORE! or $30 at the door that includes a wine and light appetizer reception as well as early access to bargain shopping and designer apparel. 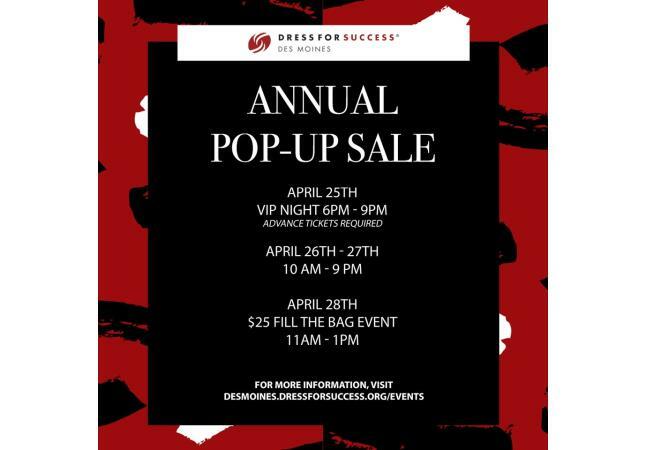 The Pop-Up Sale is open to the public Friday, April 26th from 10:00 a.m. to 9:00 p.m. and Saturday, April 27th from 10:00 a.m. to 9:00 p.m. On Sunday, April 28th a special ‘Fill the Bag’ event will be held from 11:00 a.m. to 1:00 p.m. where shoppers can purchase a bag for $25 and fill it to the brim with multiple purchases. Everything must go! All proceeds will benefit Dress for Success Des Moines.